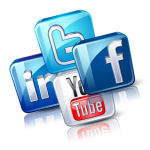 These social networking tutorial videos are designed to give you an overview of each social network and enough information to get you signed up and started. You may well find that some features and/or functions of the individual social networks to be different from our tutorials due to updates and changes made by those individual social netwprks, but the principles of use remain the same. If there is ever anything that you are not sure about, please ask us as we love to hear from our customers and help you.